Sanctification is the concept that there is a progressive work of God; along with man’s cooperation that makes him more and more like Christ in their lives; and more and more freed from sin. It would also be beneficial to see the Old Testament revelation concerning what we called sanctification. It must be noted that the Old Testament and New Testament are inseparable of each other and one should never be considered as inferior to the other. But since the New Testament is built upon the foundation of the Old Testament, it would be vital to see how the concept of sanctification is defined. But let’s first start with the Old Testament since it is the foundation for the New Testament. The Old Testament uses the word קֹדֶשׁ (“holiness,” “apartness”); and the Theological Word Dictionary of the Old Testament defines it in this manner, “The noun qōdeš connotes the concept of “holiness,” (i.e. the essential nature of that which belongs to the sphere of the sacred and which is thus distinct from the common or profane). This distinction is evident in Lev 10:10 and Ezk. 22:26 where qōdeš occurs as the antithesis of ḥôl (“profane,” “common”). The New Testament word for sanctification in the Greek is ἁγιασμός (hagiasmos). That term means consecration and holiness. The doctrine of sanctification is a vast subject and filled with many resources from church history and now. In terms of its vastness, there are a couple of things to consider regarding sanctification in terms of its stage. Sanctification has a definite beginning at regeneration, increases throughout one’s life, is completed at death; and until the Lord returns, it is never completed at this lifetime on earth. In terms of how sanctification has a definite beginning at regeneration, please see Titus 3:5 which states “…washing of regeneration and renewing by the Holy Spirit.” The renewing denotes a moral change. That renewing is a sanctifying term that happens in the context of sanctification. Another good verse would be 1 Corinthians 6:11, “Such were some of you; but you were washed, but you were sanctified, but you were justified in the name of the Lord Jesus Christ and in the Spirit of our God.” From this passage, what we can glean from is that there is some overlap between regeneration and sanctification. The moral change is part of regeneration. It appears that sanctification and justification are two sides of the same coin because they occur simultaneously, but the two terms are different. And just for the sake of clarity, let’s compare the two. Justification is a legal standing given to those who place their faith in Christ. The legal standing is once and for all and it is entirely God’s work that cannot be done by believers. Every believer who is justified has a perfect standing in this life and all Christians who are justified are at the same level. In terms of sanctification, it deals with an internal condition. A person’s sanctification is continuous throughout one’s life and believers are expected to cooperate. In terms of a continuous nature of sanctification, please see Hebrews 10:10. In that verse, there is a key statement that conveys, “…we have been sanctified through the offering of the body of Jesus Christ once for all.” The Greek construction reveals a periphrastic perfect passive participle, which indicates that sanctification is a continuing present situation that resulted from a completed past action done for us by Christ. However, a person who is sanctified will never be perfect in this life (1 John 1:8-9). Moreover, unlike justification where we are on the same level positionally, sanctification on the other hand, reveals that some will be at different levels than others in their walk with God. In terms of our sanctification being completed at death or when the Lord returns, the author of the book of Hebrews indicates that when we come into the presence of God to worship Him, we will come “to the spirits of the righteous made perfect” (Hebrews 12:23). In 1 Cor. 15:50:58, Apostle Paul states that some will be raptured before they die (v. 52). In other words, what we learn from both these passages is that sanctification will never be completed during our time on earth. It is evident, that the Bible does not teach perfectionism or sinlessness. For example, in 1 John 3:6, the present-tense Greek verbs indicates continual or habitual activity in terms of holiness and sanctification. Clearly, the concept of perfectionism is thrown out the window. Besides the stages of sanctification, we will examine God’s role in sanctification and man’s role in sanctification. In this area, two aspects of sanctification are taken into account: positional and progressive sanctification. Although the Bible speaks much about progressive sanctification as a continual process where God and man cooperate so that the believer may conform to Jesus more and more (Hebrews 12:14 [“pursue peach with all men”]; 1 Thess. 4:3 [“abstain from sexual immorality”]; 1 Thess. 4:4 [“possess your vessel in sanctification and honor”]; 1 Thess. 4:7 [“not called us for the purpose of impurity”]; Rom. 6:19b [“present your members as slaves to righteousness”]; Phil. 2:12-13 [“work out your salvation in fear and trembling”]), there is, the aspect of definitive/positional sanctification which represents the Christian as being set-aside for God’s own possession; and is declared by His God as holy because of one’s faith in His Son (Acts 20:32 [“give you inheritance”]; Acts 20:32 [“inheritance” given to those who are sanctified]; 1 Cor. 1:2 [“ to those who have been sanctified in Christ Jesus”]; 1 Cor. 6:11 [“Such were some of you; but you were washed, but you were sanctified”]; Eph. 5:26 [“so that He might sanctify her”]). For other verses concerning definitive/positional sanctification, please see Rom. 6:2, 6, 18; 7:4-6; 1 Peter 2:24; and 1 Peter 4:1-2. Another facet of sanctification are the motives towards God in one’s life. There are many motives for obedience or the desire to be sanctified in the Christian life. Motives for obedience can be seen in this manner: sanctification is the instrument that reveals the result of our vital union with Christ Jesus (John 15:5), is the outcome or consequence inseparable from regeneration (Rom. 8:9; Titus 3:5), is the evidence that the Holy Spirit dwells with His people (Gal. 5:25), is the only sure mark of God’s elect (1 Peter 1:2), is transparent means before others (Lk 6:44), is the call that every believer is responsible (Matt. 16:26), is the instrument that reveals progress or not (John 17:17; 1 Thess. 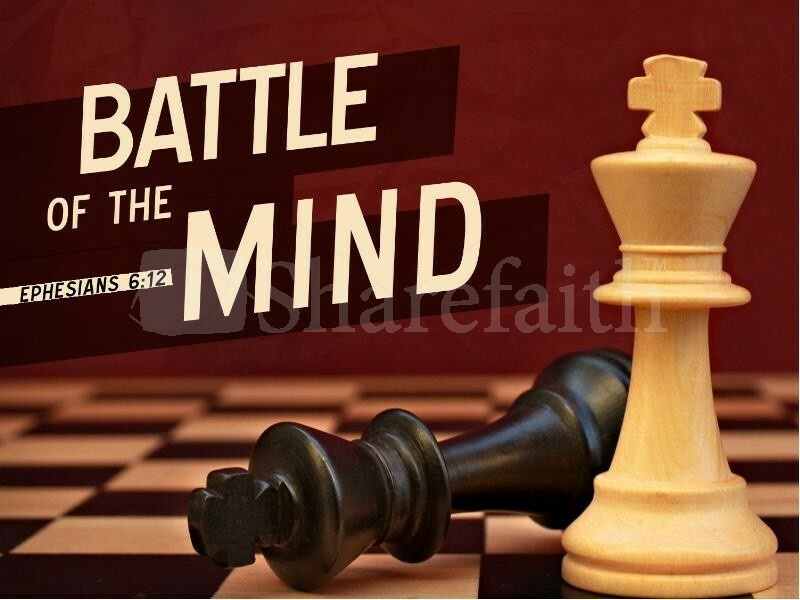 4:3), is the instrument that depends greatly on a diligent use of the Word of God (Psalm 119), is the instrument that does not prevent a man from having discomfort with his war between the old man and new man, is the instrument which cannot justify a man, but pleases God (1 John 3:22), is the instrument that gives witness or authenticates our character when God judges our life used in this world; and is the instrument used in order to train and prepare His children for Heaven. The last section we will journey into is the beauty and joy of sanctification. The more we grow in Christ, the more we will experience the “joy” and “peace” that are part of bearing the fruit of the Holy Spirit given to us (Gal. 5:22). Paul realizes that his true joy is found in God. He understands that when he is born-again in Christ, justified in Christ, which results in sanctification, he will receive eternal life (Rom. 6:22). The person who delights in God, delights in His Word; and he will be blessed (Psalm 1:2; Psalm 119:2). Wayne A. Grudem, Systematic Theology: An Introduction to Biblical Doctrine (Leicester, England: Inter-Varsity Press, 1994), 746. Anthony A. Hoekema, “The Reformed Perspective,” in Five Views on Sanctification (Zondervan, 1987), 61. Kenneth Arnold Lesta, “The Nature of Sanctification” (Doctor of Philosophy, Bob Jones University, Greenvile, SC, 1979), 25. Thomas E. Mccomiskey, “1990 קָדַשׁ” In , in Theological Wordbook of the Old Testament, ed. R. Laird Harris, Gleason L. Archer, Jr. and Bruce K. Waltke, electronic ed. (Chicago: Moody Press, 1999), 787. Abbott-Smith, A Manual Greek Lexicon of the New Testament (Edinburgh: T. & T. Clark, 1950), 5. Grudem, Systematic Theology: An Introduction to Biblical Doctrine, 747-750. Grudem, Systematic Theology: An Introduction to Biblical Doctrine, 749. Sanctification will include new bodies (1 Cor. 15:50-58; 2 Cor. 7:1; and 1 Thess. 5:23) (ibid., 749). Grudem, Systematic Theology: An Introduction to Biblical Doctrine, 751. Michael A. Vlach, “Theology III” (Unpublished syllabus, The Master’s Seminary, 2012), 210; Robert L. Reymond, A New Systematic Theology of the Christian Faith, 2nd ed. (Nashville, Tennessee: Thomas Nelson, 1998), 756. The three verses: Acts 20:32; 26:18; and 1 Cor. 1:2 uses the perfect tense of hagiazō; and 1 Cor. 6:11 and Eph. 5:26 uses the aorist tense (ibid., 756). Grudem, Systematic Theology: An Introduction to Biblical Doctrine, 756. Grudem, Systematic Theology: An Introduction to Biblical Doctrine, 756; Bruce A. Demarest, The Cross and Salvation (Crossway Books, Wheaton, Ill 2006), 378. Demarest notes that the Reformed tradition generally believes and identifies the Christian of having two natures. The old nature is called the “flesh” sometimes and has the capacity to serve sin and Satan (ibid., 378). The new nature is sometimes called “the spirit” which has the capacity to serve God, others, and righteousness (ibid., 378). As a result, Christians are exhorted to implement Christ-likeness through the effort (1 Cor. 9:24; 1 Tim. 4:10; Heb. 12:1), struggle (Rom. 7:15-23; Gal. 5:17), warfare (Eph. 6:10-18; 1 Tim. 6:12), suffering (Rom. 5:3; Heb. 10:32-34), and chastening by God (Ps. 119:71; Heb. 12:5-11) via the power of the Holy Spirit who empowers Christians to be freed from the power of sin; and helps Christians mortify sinful impulses and wicked deeds of the flesh (ibid., 378). At the end of the day, Romans 6 shows that there is a decisive, clear, and committed breach concerning the power and service to sin (ibid., 73). J.C. Ryle, Holiness (Fleming H. Revell Company, Old Tappan, NJ, 1970), 17-24. Grudem, Systematic Theology: An Introduction to Biblical Doctrine, 758.